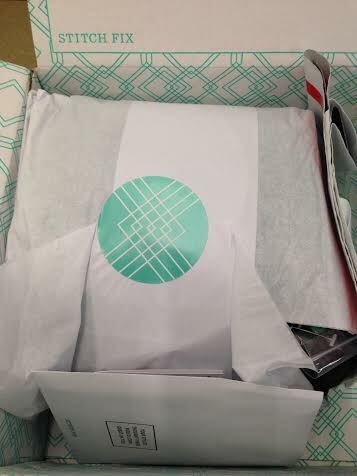 Have you guys tried Stitch Fix yet?!?! I received my second fix! I know this is outside of my normal fitness/running blogging, but hey – its my blog, and I want to blog about my awesome clothes! I’m going to apologize in advance for my horrible ugly pictures. I planned to take pictures with them on…but the best laid plans…. All in all, I love the STYLE of my fix. I loved the look of everything. 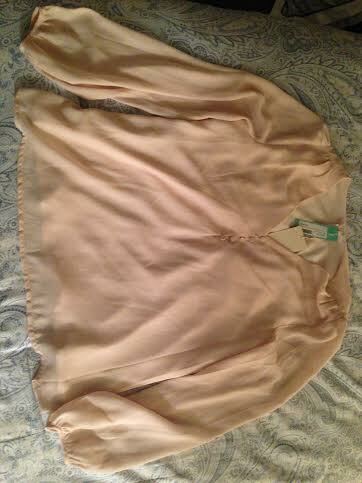 First impression: This blouse is beautiful. I loved the cream color immediately. It is a little snug in the bust, but I can figure out something to make that work. 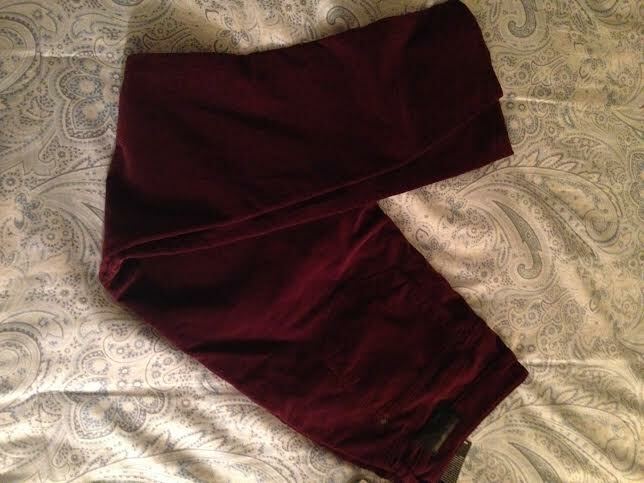 I loved the color of these pants, although admittedly, I would have never chosen them for myself. I was hoping that the fit would be better than the last pants I got, and it was a little better. But I still couldn’t button them. The quality of these pants were amazing. They were stretchy and wonderful and I wanted to love them. These were the first pair of pants I could completely button and wear. 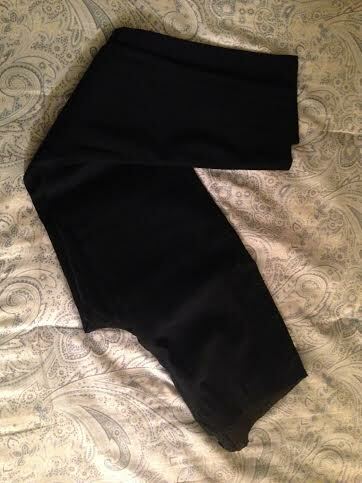 However, I’m not a huge fan of skinny jeans and these were skin tight. I loved this sweater the second I saw it. It actually fit and was big! I was so excited that it fit. But after further reflection, I realized that it really wasn’t that flattering. When I saw on the inventory that I was getting biker vest…I was worried about my stylist – this was NOT going to be my style. But, I actually really liked the look of it. Unfortunately it was WAY too tight. You can’t really see much of the color, but its navy blue with dark gray faux fur. Make sure to pin stuff to Pinterest that you really like. They do pay attention. So if you share your board with your stylist, make sure you would wear the stuff in there! I love the style of this fix. I think my stylist really gets what I like. We are still working on improving the fit of the items, but we are getting there. 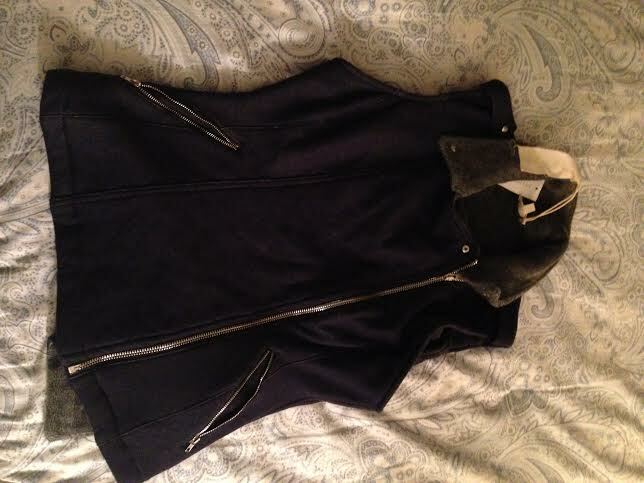 This entry was posted in Stitch Fix Review and tagged stitch fix. Bookmark the permalink. I like the actual aspect of going into stores and looking. I like this idea a lot and love to see your reviews though! 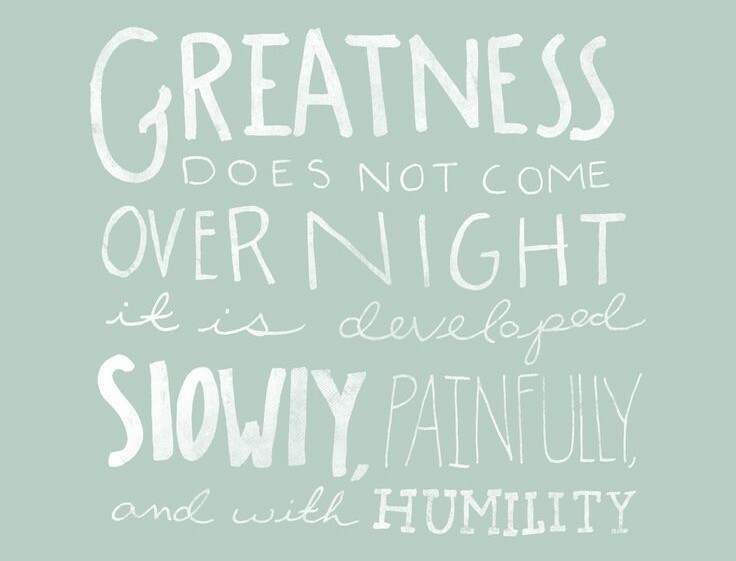 Yeah, I usually prefer to shop in store, but I love that this gets me out of my comfort zone! You received two of the items I got in my first fix! I too loved the Mavi corduroys, but they gave me major muffin top – too tight in the waist, although the legs fit really cute. 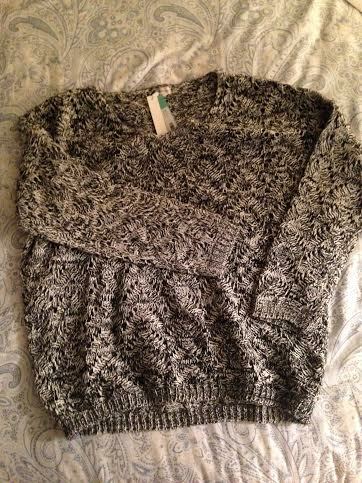 I also got the Molly V Neck Sweater. I kept it and it really is pretty cute, but it does ride up a little. The blouse you kept looks really cute! I did notice that the corduroys were quite tiny in the wast. I was so tempted to keep the sweater, but it was just not quite flattering. I love the blouse and hope when things get a little more accurate in the sizing, I can take pictures of me wearing these items!